I don't know on TP. Generally, he's keeping a lot of black actors working. So that's good. The bad to me is Meet the Browns--when I see the ads on TBS and the lead character is mispronouncing diabetes or some fairly simple word--I'm annoyed by the tomfoolery. With that said--I LOVE Madea and will definitely catch it this weekend. Willl go to the Sunday early show. Can't pay 8.00 for 4 tickets. I love all his stuff, if for no other reason it allows me to see that I am not alone in my struggles. The misprouncation thing used to annoy me too.....till I realized that I have quite a few older kin that do the exact same thing....not because they are stupid, or foolish, but just because they haven't had the exposure to the world that I have. Thing of it is....their doing a WHOLE lot better than me! Hey Soutehrny Gyrl I hear you on that early show :-)From daddy's little girls to Why did I get Married, The family that Preys and everything in between I like his work. I may not be rolling on the floor with all of the jokes but that is ok, like TD said he keeps black actors working and overall his themes are great. About the mispronouncing words etc. there is so much truth in that, I guess some people may not want to advertise that but hey it happens. It happens, some people actually speak that way but what I do like it that Tyler provides a balance, you will also see well spoken characters in his work as well. madea is gonna see me and the entire family tonight. front and center. well actually we'll be sitting in the back. whatev, you know what I mean girl. ENJOY! I tried this one, but didn't like the scent. 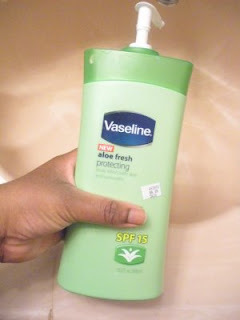 Still, Vaseline makes good lotions. I've never watch a Tyler Perry movie. I'm more of an action movie fan. So when Madea decides to blow up or shoot up something, I'll be right there. i think his movies are alright at best. like you have heard me say, he is a little extra. if i had 2 movies i wanted to see and his was one, his would be on hold. i do support most of the time though. you had my skin crawling with that bug video! I like the flick. It started off a little slow and predictable--but Madea is a fool and makes me laugh. Antithesis if you see it let me know if you like it -). Ren you didn't miss much. Just me- it's good to support his projects and I get to see actors I dont usually see.